As you may know, we're Hot Topic trash over here at PopBuzz HQ. We even made a quiz about it WE'RE THAT TRASHY. 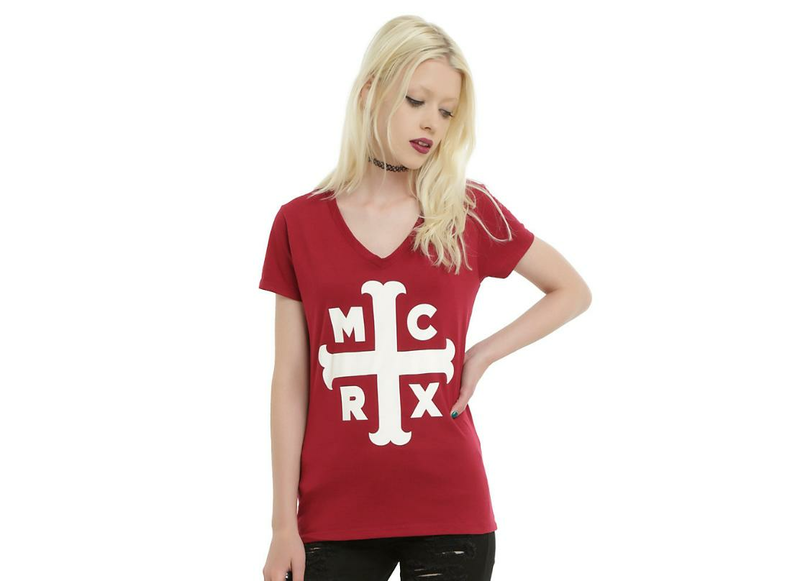 In our bid to out trash them all, we went on a little hunt on the site to find our favourite band merch for the summer. There are literally SO MANY THINGS that we want, especially because they cover pretty much all our faves, but we narrowed it down to ten because a) we're not made of money and b) we like round numbers. 1. Melanie Martinez Cry Baby Bracelet. Now this is just f*cking cool. We're obsessed with the Cry Baby album and we love the idea of using tiny baby blocks on a bracelet. It's also under $10 so it's cheap as chips, mate. We're not sure if you can rearrange the letters but our alternative suggestions would include YABBY, CRABBY and BRY CABY, if so. Who ever said tie dye is dead is dead to me, quite frankly. In fact, let them burn in tie dye hell. 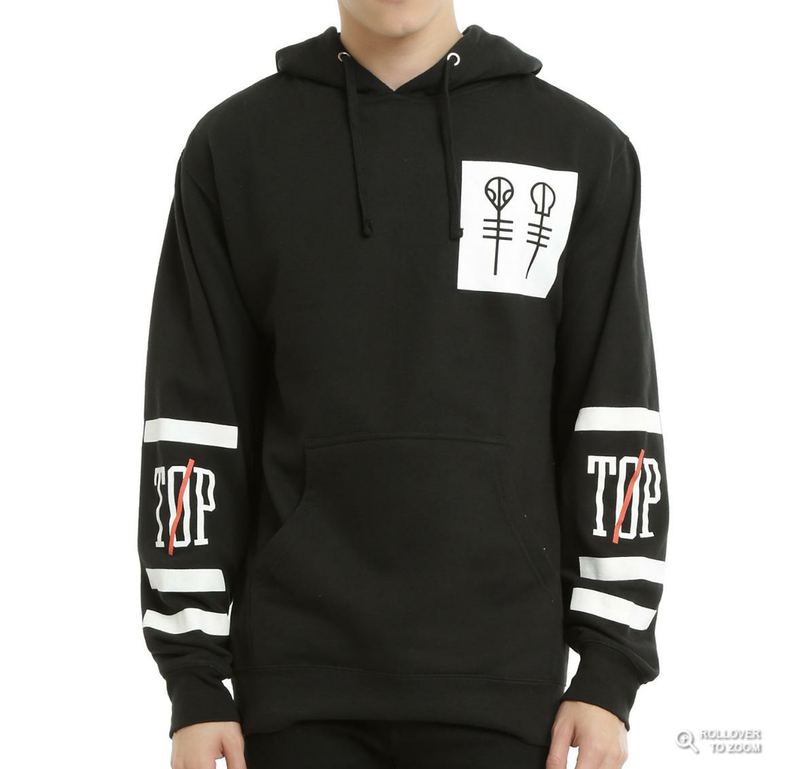 We're all about this Pierce The Veil hoodie. 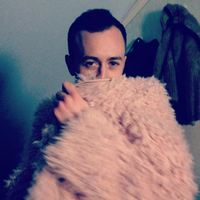 It's super kawaii and will look pretty damn amazing as your swinging your body around in the mosh pit to 'Circles'. Yaaaassss! 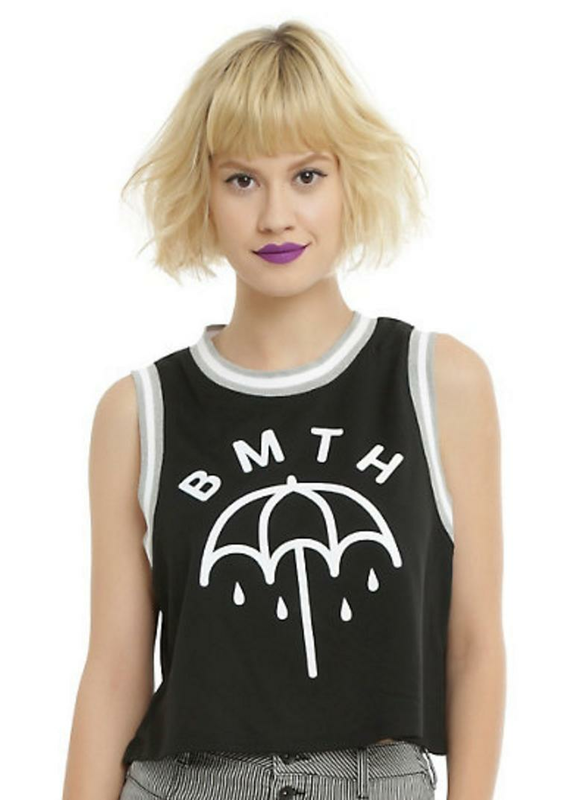 BMTH have some of the best merch anyway but this super cute, simple design works for a number of reasons. The grey and white trim around the arms and neck gives it a classic look but it's the cropped bottom that really sells it. GET ME ONE RIGHT NOW DAMMNIT. *drools* I mean, where to begin? It's one of those pieces that you'll put on and never take off again. 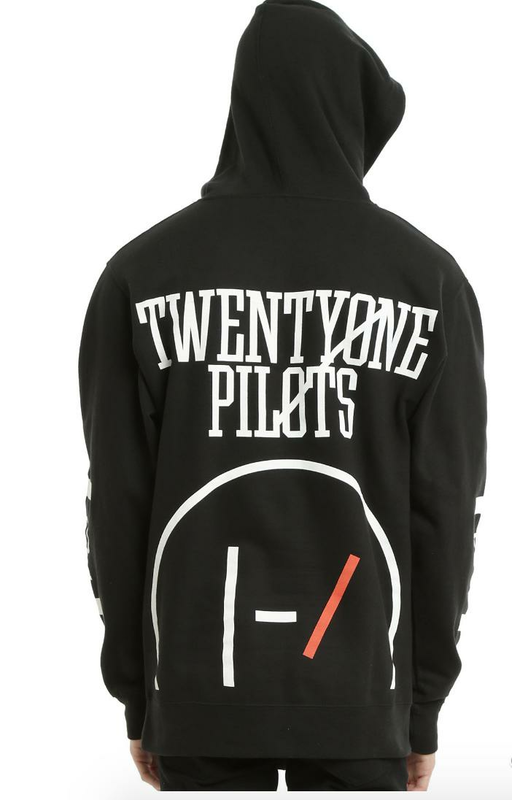 It's got the Alien Josh and Skeleton Key logos on front, the Circle logo on back and TØP logos on each sleeve, so you've got it covered from all angles. You can wear the Skeleton Clique colours literally on your sleeve every day! 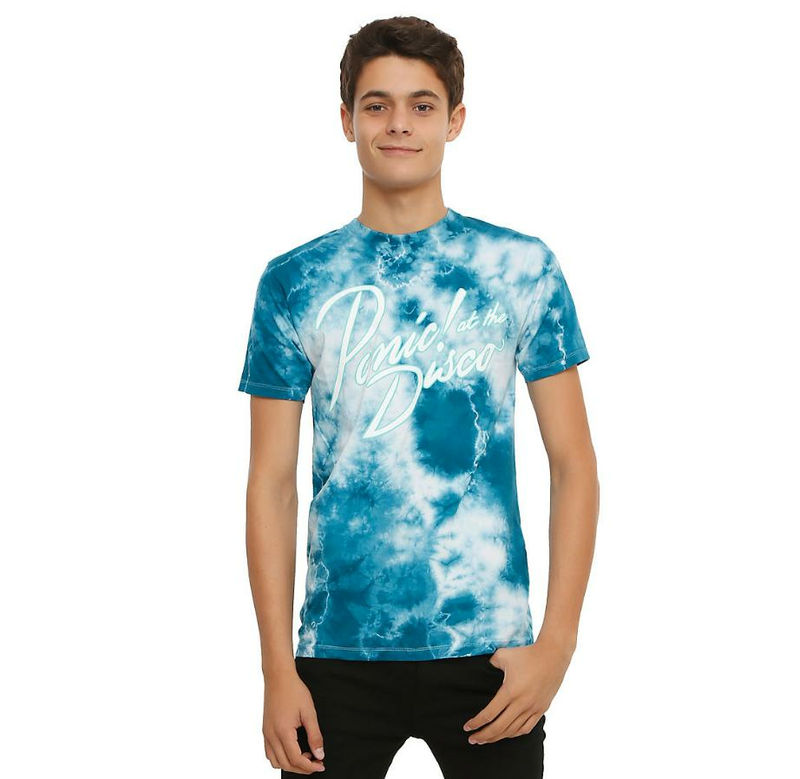 WE TOLD YOU TIE DYE WASN'T DEAD AND WEREN'T JOKING OKAY? 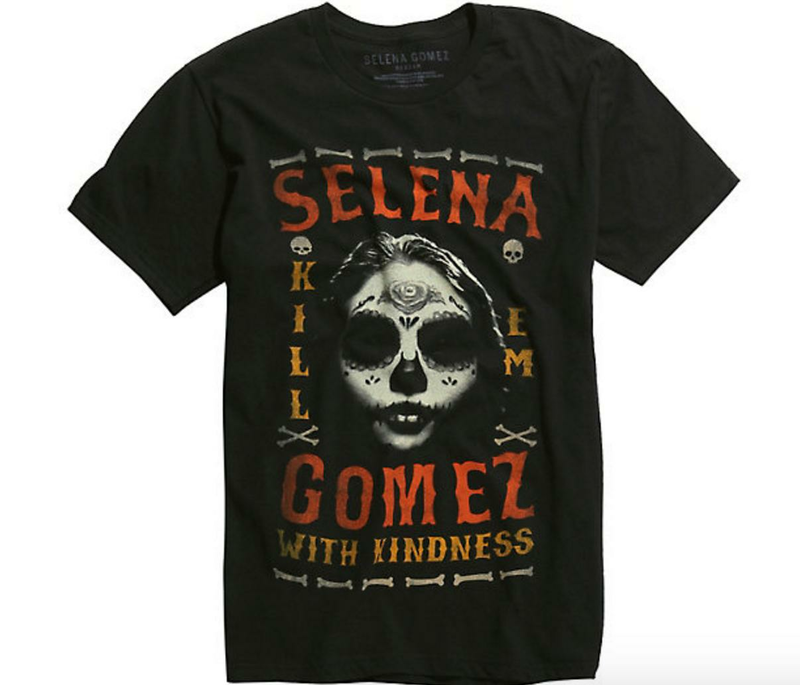 But, on a real, this t-shirt is fly and we won't accept any other opinion. So this t-shirt turned out to be VERY controversial. 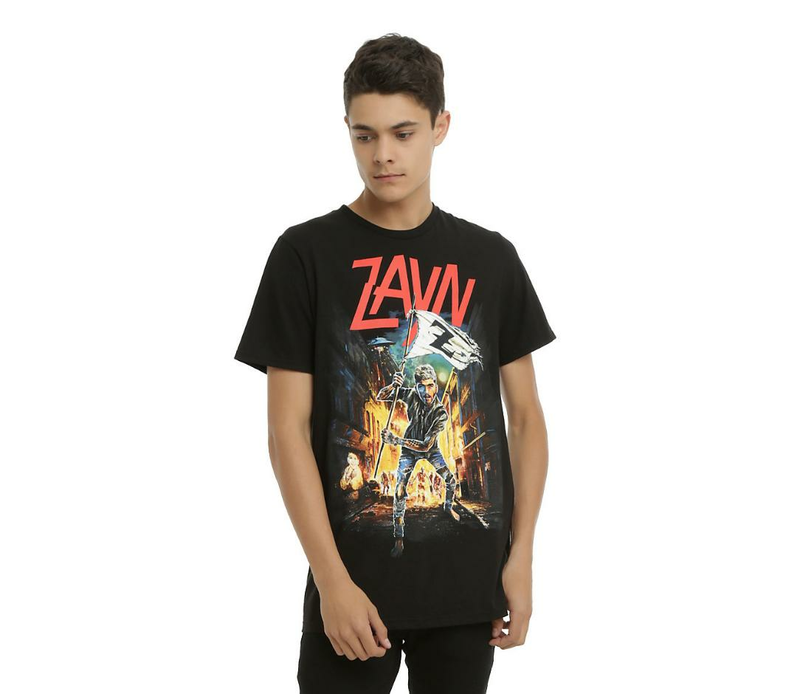 Zayn hired the same illustrator as Iron Maiden to design this tee and that seemed to piss off the entire metal community. Personally speaking, we think it's hilarious. Maybe don't wear it to a Maiden show though, yeah? Firstly LOL at this model's mini mirror and tiara. Secondly, this is the most kawaii MM merch out there. If you look up 'cute AF' on Urban Dictionary you'll actually find this exact picture. We love the pop art stylings on this tee! Also, personally speaking, we feel like 'Love Me' didn't get enough love (pun intended) the first time around. Like, how was that not a massive single? ANYWAY celebrate it's greatness with this tee if you feel the same. 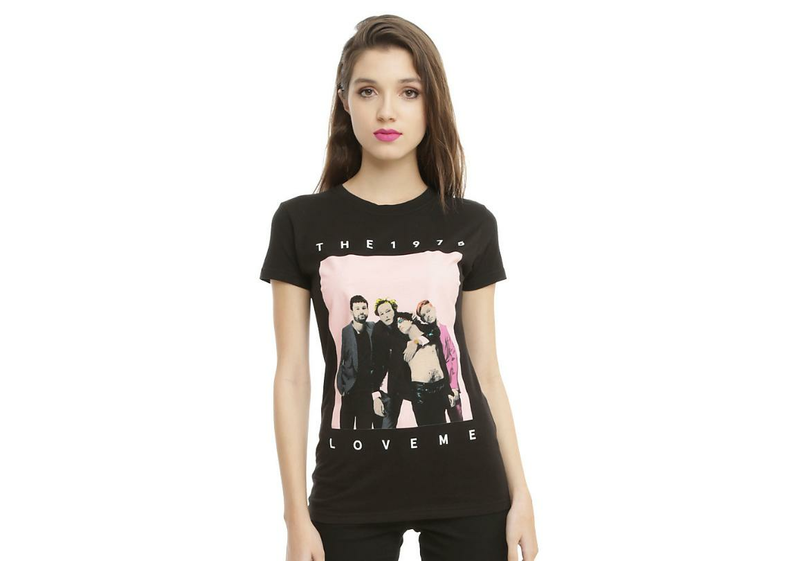 QUIZ: Can You Recognise The Band From The Tour Merch?